The man who led police on a search by air and by foot has been captured. The suspect, whose name is not being released at this time, was pulled over for going left of center and speeding on Linden Avenue, said Sgt. Nathan Dennis of the Ohio State Highway Patrol. Dennis said the pursuit began around 9:30 p.m. on Linden Avenue at Hoge Avenue and turned into a foot chase when the driver exited his car after stopping on N. River Road near Fairview Road. 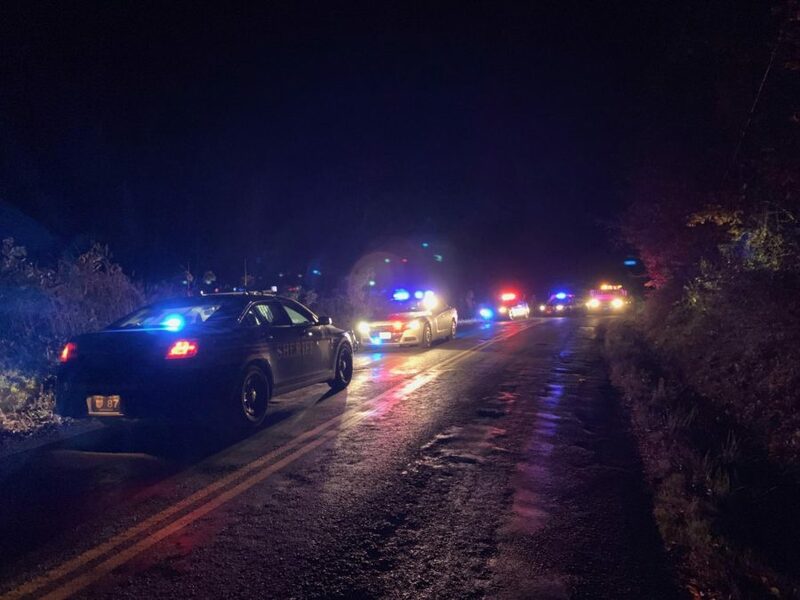 Both OSP and the Muskingum County Sheriff’s Office searched for the driver near the train tracks along N. River Road, troopers said. The man was later located by the aviation unit who then guided officers on foot to the suspect’s location in a corn field. According to a sheriff’s deputy, the man was found lying face down on the ground. He was taken to the hospital out of health concerns due to the cold temperatures before he’ll be taken to jail, authorities said. One OSP helicopter and an additional OSP plane, both out of Columbus, were used to assist with the search. About 2.5 miles of N. River Road was blocked off by law enforcement, but the road has since reopened. Falls Township Fire and EMS were also on the scene to assist.